Loan Management to Reduce Risks & Boost Returns | Del Toro Inc. The lending and loan management process is complex. To do it right, you must gather and verify a long list of data from multiple sources. This list includes borrower application and financials, appraisals, title reports, escrow instructions, legal disclosures and loan documents. Partnering with a neutral party who can share best practices and assist in uncovering red flags or errors, can make the process more transparent, clear and compliant. The cost for this help is usually free to the lender and broker; the cost for not asking for free help can have a significant impact on your time and finances. 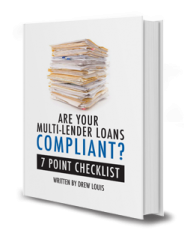 For most lenders and private loan servicing companies, the goal to Private Lending is to obtain simple, pain-free, passive income. The chances of you achieving that goal increase dramatically if the loan is underwritten and managed properly. Prudent real estate investors don’t buy a house, throw some tenants in there and just sit back and collect rent. There is time spent on determining the right property and checking out potential tenants. Next, they implement a management process to protect their investment. Expert File Review: A neutral set of eyes looking for red flags and errors. We have assisted with over 10,000 loans from funding to payoff. We have also seen hundreds of borrower complaints that could have worked out better for all parties if a couple things were caught or implemented prior to funding. Professional Loan Processing and Document Preparation: Efficiently working with the borrower, lender, broker, title, escrow, appraiser etc. is an art. The work performed by specialists not only gets done better and quicker, it also assists in uncovering potential problems. Our loan documents are attorney prepared and reviewed regularly. Our past experiences are also folded into our doc process and forms so that you benefit from the other people’s successes and challenges. Continual Management Plan: Funding and closing the loan is the end of the road for most brokers who do not have an experienced team managing the loan’s post close needs. Collecting and tracking payments, answering borrower questions and overseeing property taxes, insurance and condition are just the basics. We work to develop rapport, maintain great communication with all parties and evaluate actions or conversations to anticipate or minimize potential problems. Exploring the Best Solutions for Serious Delinquencies: We all tend to assume that the loan that looks so good on paper today could never go bad down the road. The fact is they do and they go bad for many different reasons. The groundwork laid along the life of the loan will have a huge impact on the path the problems will take. When things turn bad, the parties benefit from having someone neutral to talk to. Borrowers are much more likely to be open about challenges or problems before overreacting and lender’s emotions don’t hinder the process. Experienced companies can research, verify and mediate delinquency issues to find the best solutions available to all parties. Keeping your money at work: To maximize their return, lenders should be aware of their borrower’s intentions far enough in advance to make solid business decisions. Getting paid back too soon can leave a lender hunting for an investment. Not receiving money as promised can cause a lender to default on a planned obligation, possibly causing problems with the broker left hanging for a lender. We work hard to find out what is “really” happening and keep lenders apprised. Every step of the process, from origination of the loan through payoff, needs careful attention; this is serious stuff – one bad experience can take months to years to recover from. Cutting corners, especially if the services you need for peace of mind are at little or no cost to you, should never happen. When you have the right help, you greatly reduce your risk and stress over underwriting, property preservation, maintaining payment records or compliance issues. Your broker’s job is finding you quality investments. Your job is to get your investments as close to passive as possible. Since having the right partner is one of the most valuable tools available to you, choosing the right company will take a bit of work and should involve evaluating reputations, experience and value. Ask for and contact their references AND research the references. Determine if the company’s goals and values fit with yours. Clarify your expectations and roles and get the plan in writing. Get private loan help at Del Toro where we are proud to share our references. They are well-known and well-respected members of our industry. Additionally, we love to share our values and why they are important to us, our industry and our community. You can visit our website for more information on our references, values, and services.